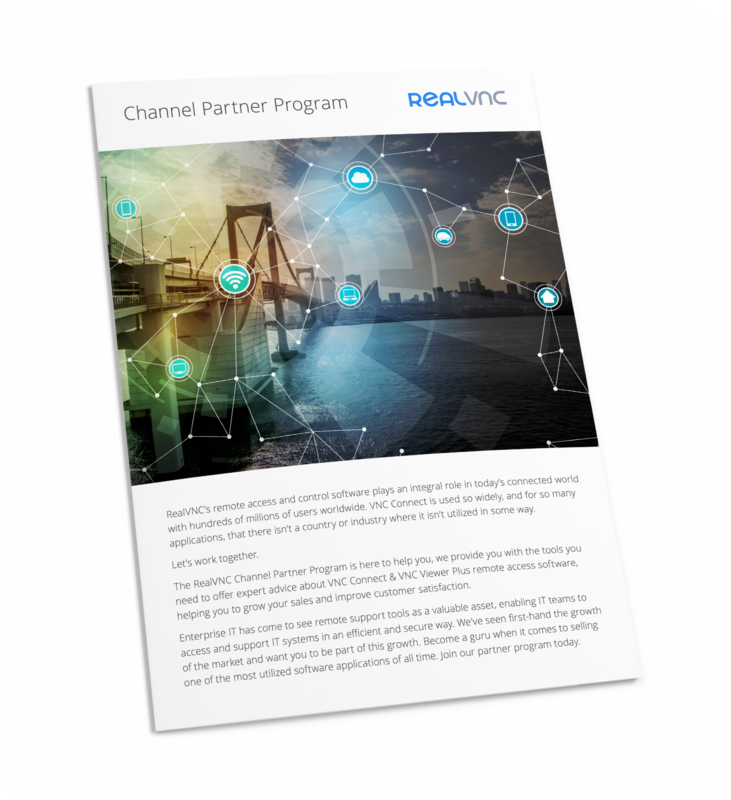 Our Channel Partner Program is here to help you. We provide the tools and support you need to offer expert advice about VNC Connect remote access software, and grow your business. We can now fix 90% of the issues we receive remotely, eliminating travel time and costs, while helping our clients without delay. Download our Partner program brochure for full details, and then fill out our simple form. Your Partner Manager should have given you a password to unlock our dedicated resources page. the password, get in touch. We’ll share our resources, provide in-depth product training, and give you tiered margins, incentives and marketing assistance. 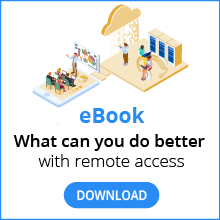 VNC® Connect has device access and instant support capabilities built-in, so a single subscription enables remote access and support for an entire organization. A single subscription saves money and requires less resource to manage. One product for remote access simplifies business processes and reduces friction. Less software reduces the attack footprint and supports compliance objectives. Become a Partner today. Fill out the form and one of our Channel Partner Managers will be in touch.